As powerful as it is graceful, the 68 Sport Yacht is a classic example of Sunseeker innovation. The streamlined shape. The 45 knot top speed. The unmistakable style. They’re all Sunseeker trademarks. 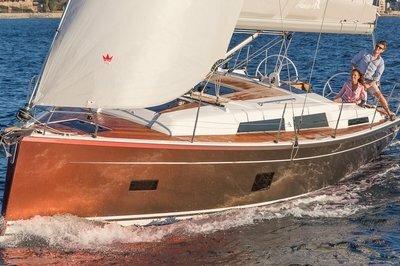 In fact, everything about this remarkable Sport Yacht is the result of years of dedication and an unwavering desire to produce the best. Inside, the main saloon has everything you could wish for; state of the art entertainment systems, high quality fabrics and plenty of natural light. It’s the perfect entertainment space. 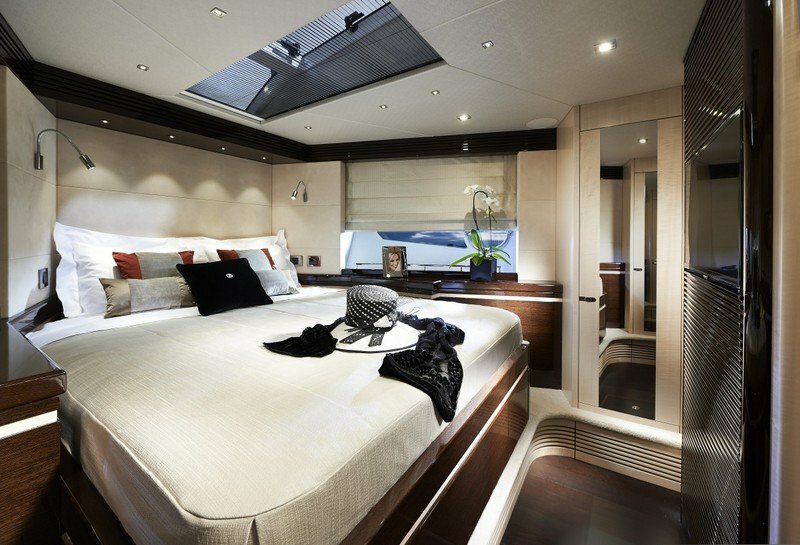 Below deck, the guest cabins are equally impressive while outside, lavishness is taken to a whole new level thanks to the large sunpads both for and aft. When first impressions count, this impeccable yacht always delivers. 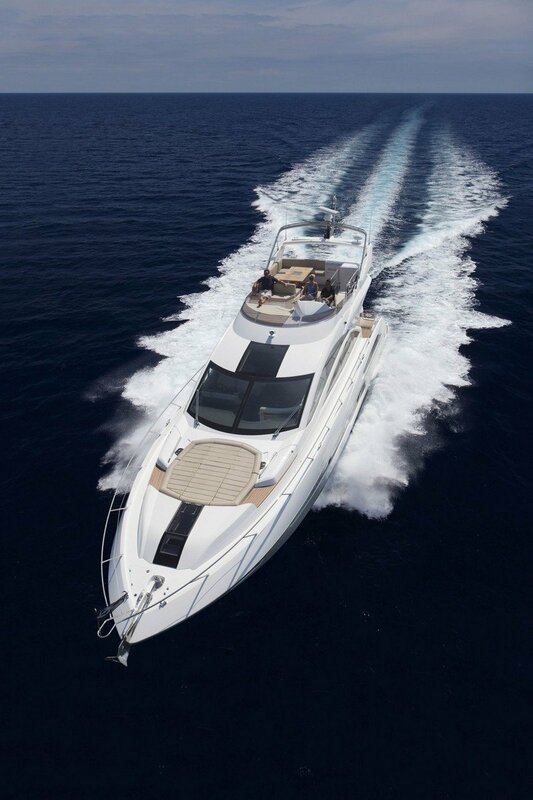 Continue reading for more information on the Sunseeker 65 Sport Yacht. Renowned for their style, craftsmanship and attention to detail, each room onboard the 68 Sport Yacht is as impressive as the last. FUEL CAPACITY 3,500 litres / 770 GB gal. / 925 US gal. FRESH-WATER CAPACITY 800 litres / 176 GB gal. / 211 US gal.